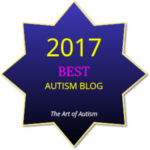 In a recent post, I explored the (current) “fact” that an Asperger’s/autism spectrum diagnosis is subject to change–which may ultimately result in revocation. (It’s the truth, at least where I am, which is the United States; I think the same may hold true for the United Kingdom as well, based on some of the (awesome) comments people have shared with me). What if that “pesky Part D” (of the US CDC’s official diagnostic criteria that I referred to in the recent post linked to above) were to be removed? Lemme back up for a second. I’d like to bring everyone up to speed, especially if this is unfamiliar territory. What’s this “Part D” anyway? Well, the United States (and several other countries) diagnose Autism Spectrum “Disorder” based on the Diagnostics and Statistics Manual for Mental Disorders, version 5, or DSM-V/DSM-5 (link to American Psychiatric Association’s website, DSM-5 page). This manual lists all (of what are conventionally considered to be) mental disorders as currently agreed upon by official authorities (i.e., the American Psychiatric Association), as well as their matching diagnostic codes. Under each heading in the listing, the specific criteria are spelled out; these are required to be met in order to qualify for the diagnosis. Under the “Autism Spectrum Disorder” heading, five major criteria are listed; some of those have sub-criteria that must be met (in some cases, only a certain portion of them must be met, as opposed to all of them). The major criteria are given letters A through E, and the sub-criteria are given numbers, nestled underneath the applicable capital letter. OK…so far, so good! But does this automatically make one Aspie/autistic? NO, according to the authorities. You can meet every single one of these criteria and not “qualify” for an official diagnosis. That’s because I skipped Part D, saving it for…well, now. As I mentioned in that recent post (I’ll link to it again here), it is absolutely possible for a licensed diagnostician to believe that although you may indeed have the impairments listed in Parts A through C, and to rule out all conditions mentioned in Part E and still deny you a diagnosis. In fact, although I don’t have any statistics, having interacted extensively with my fellow “Aspie/autie tribe” on social media, I would venture to say that this happens a lot. But do any of the above suddenly make us “less” Aspergian/autistic? What is NOT taken into account is just how much of that time, energy, or even money it might cost us to “look” “normal”. It can be tiring to keep up the charade; I know that it is for me. It’s exhausting, and I’m usually fairly energetic. It can take time–time observing, time practicing, time to try personas on for size; I’ve done that, too. And in some situations, it can take money. I may not actually care about what clothing is “in style” or what movies or electronic gadgets are getting rave reviews, but in order to feel “normal”, I might have to go shopping and drop some chunks of change. And for what? Do I feel better about myself when I do that? Short-term, for the moment, I think so. But long-term, eventually, probably not. Also completely ignored is how much we might feel like we’re selling ourselves out as we hide and stuff various aspects of our personalities down, out of sight, out of the way. When we do this, we may feel like we’re losing our integrity and our identity–but we survive our encounters with the outside world, at least for the day. We give the appearance of being able to “function” “like everybody else”. That costs; those costs aren’t as easily calculated, but they’re there. As an excellent commenter (who writes this amazing blog!) pointed out, the medical/psychiatric elite act as gatekeepers that hinge our diagnosis on a “house of cards” (I love her choices of words!). A diagnosis is actually very subjective, based on the knowledge base, attitudes, mindset, and potential bias(es) of the provider. So, revisit the original question from the beginning of the post: What if the Part D component were altogether removed from the diagnostic criteria? There are pros and cons to that, of course. Some of you may be nodding and mentally (or vocally cheering), while others might think I should pound sand or go play in traffic. On the “pro” side, there wouldn’t be any requirement for our cognitive “quirkiness” to cause “impairment”. We wouldn’t have to possess “deficits” just to be (and remain) “official”. Our diagnosis couldn’t get taken away from us. We wouldn’t have to live in fear of that. We wouldn’t be penalized for adapting well, or successfully constructing a life that is conducive to our neurotype. When meeting with healthcare providers or authorities of an entity, we wouldn’t have to feel like we’re (potentially) “overstating” or “over-emphasizing” our impairments, or beating a dead horse that’s in the past, out of fear that we might get stripped of our diagnosis if we don’t “look” “disabled enough” to satisfy someone else’s arbitrary threshold. Another benefit to removing Part D would be that it’s a step in the right direction to de-pathologizing the Asperger’s/autism spectrum altogether, and treating it like the neurological variant/orientation that it is, rather than a “disease” or “disorder” that needs “treatment”. It would be like saying, “OK, cool–you satisfy Parts A, B, C, and E; that’s your neurotype and that’s good enough”, as opposed to also insisting that it make your life hell. This would certainly remove a depressing requirement that only reinforces negativity and negative “self-think”, thus promoting neurodiversity. So what’s not to love? Why don’t we just do it right now? Well, there is indeed a potential “con” side of removing Part D. Because this would remove the reference to (and requirement for) the “symptoms” to have a negative impact on one’s life (i.e., the “disability” part), it might indeed no longer be seen as a disability. Our society is under the unspoken impression that if a condition is not considered a disability, it doesn’t need support. If there’s no negative impact, then there’s no problem, and thus, why fund or help with any support? In my answer to those people (those who would deny us supports because of our different ability), I would resurrect the “freshwater fish, saltwater environment” once again. If I’m a freshwater fish in a saltwater environment, and I live “too long” or “look too OK” in a saltwater environment, then I’m considered “fine”, with no disability. Never mind that I was privileged enough to have the extra energy/nutrients to spare, the extra nutrients/energy that I must spend on compensating for–and functioning decently within–my incompatible surroundings. They’re not looking at that; many times, neither am I; I’m prone to forgetting about it, too. Not because it’s not a big deal, but because I’m just that used to it. But I think that freshwater fish, in a saltwater environment, should indeed be offered support. There’s nothing wrong with the fish, but they’re still out of their element, and it’s not fair that they should have to spend ONLY their own resources or make ALL the effort needed to interact/function in the saltwater world. 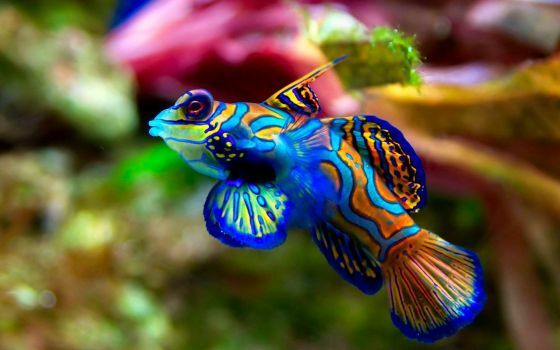 After all, the saltwater world benefits from the freshwater fish’s membership and contributions; freshwater fish have plenty to offer, and they diversify the ecosystem, and isn’t variety the spice of life and all that? So it’s not fair to simply say, “freshwater fish, the world is salty. Deal with it. It’s up to you; sink or swim.” Yet, that’s what happens every day. Qualifying Asperger’s/autism as a type of disability does indeed give us a small element of support (depending on the location and its local legislation). Including the autism spectrum on the list of disabilities at least unlocks the possibility–a chance–of getting help or support. I want to have my cake and eat it, too. I’d like to remove Part D, the impairment requirement from the diagnostic criteria, because these are typically limited to that which can be seen/measured/agreed with by an outside observer, the vast majority of whom are allistic/neurotypical. I would also like to see the word “disability” removed from the Asperger’s/autism spectrum BUT instead be included under a new consideration: different ability. I don’t care if you love or hate the term, and if it doesn’t apply to you, I respect that. (It does apply to–and accurately describe–how a lot of us feel and function, so it’s not entirely fair to us to make us choose between the black-and-white disabled-or-not-disabled statuses, with no in-between.) For this differently-abled category, I would love to see supports at no/reduced cost provided, much like is done for disabilities in many areas. I think that just because one has learned to act/mask/adapt well enough in their salty surroundings that they don’t feel/project any visible/noticeable impairment, that doesn’t mean that their neurotype is any less Aspie/autistic/neurodivergent. If you’ve been able to make those traits work for you and you’re satisfied with them and your life in general, Part D becomes irrelevant; why deny you a Dx/title/label of something that you otherwise are? This only reinforces the negative disability aspect, making us (or at least amplifying the tendency to) put too much of our focus (and identity) on the hardship aspect, which promotes and encourages our own imprisonment. Although we might blame the rest of the world at large for that, we’ve actually (in that scenario) become prisoners of ourselves. But that’s entirely my opinion, and it’s based entirely on my situation and some of the others I’ve observed through my own lens (which is far from perfect). I am in the UK. The assessments for “disabilities” here are already biased so if we have the removal of section D it will make it nearly impossible to get any recognition or support – our Govt. will love it! Hi, i scored 6 on the AQ-10. I have done a lot of other Aspergers tests online, and score well on them. The things i, though, do not feel like is me, is when it comes to difficulties reading facial expressions and bodylanguage. Do you think not all Aspergers nescesserily have struggles with that? PS: I also have ADHD. Thank you for the nice answer. Yes, i very much agree and think that too. Only, when it comes to bodylanguage and facial expressions, and difficulties reading that – that is listed as a criteria on the DSM-5 diagnostic criterias? So, doesn’t that mean that it has to present to qualify to be on the spectrum? Have you read or heard of anyone on the sprectrum that doesn’t have struggles with bodylanguage or facialexpressions?